Among the many exotic vegetables and fruits in the Monterey Market’s second-last aisle, this amorphous blob was the least frightening. I picked the smallest one (as big as a cantaloupe, but heavier). 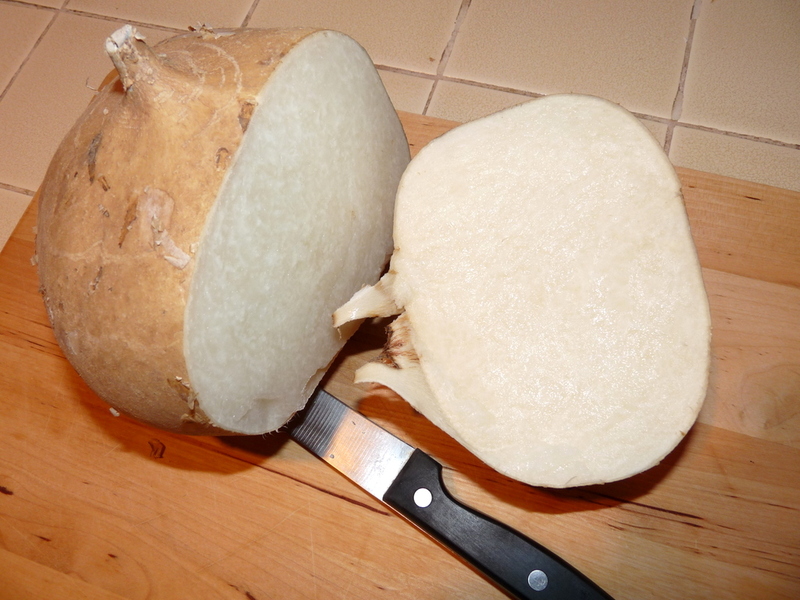 Its taste has been described as a “somewhere between an apple and a potato”. Disgusting, but I went ahead and bought it anyway! I am fearless! 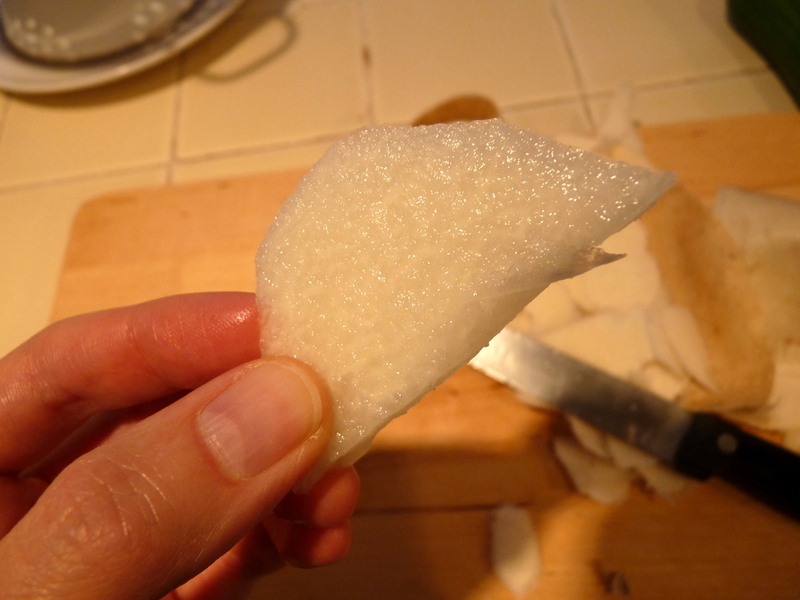 To the refined palate, raw jicama tastes like a cross between a daikon radish and an apple – completely lacking the bite of radishes, less sweet/sour than an apple, but more crunchy than both. The consistency seems to be the main advantage. It tastes good dipped in Hummus, or made into a slaw (I put it in cole slaw instead of apples). Needs some lemon/lime juice. Very refreshing. A+++ would buy again. 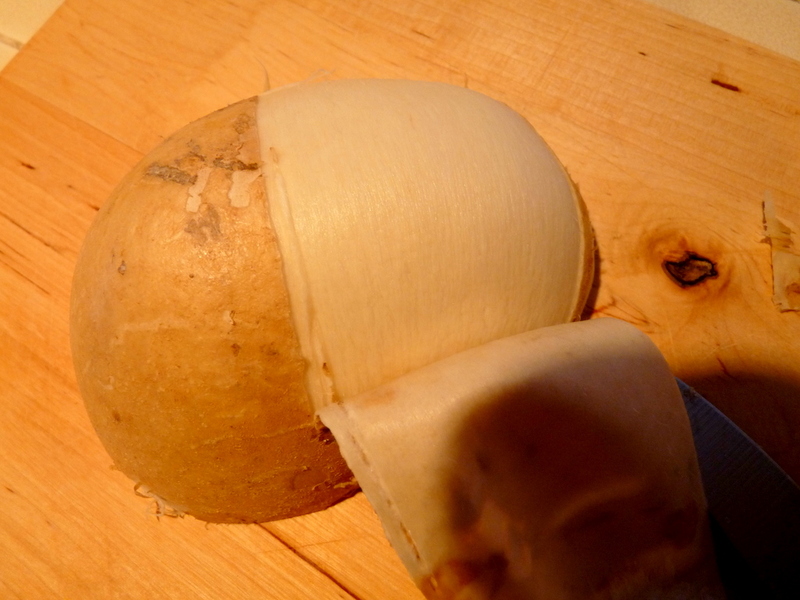 Would not cook/roast, however, because it probably risks turning into some kind of rubbery mega-rutabaga.